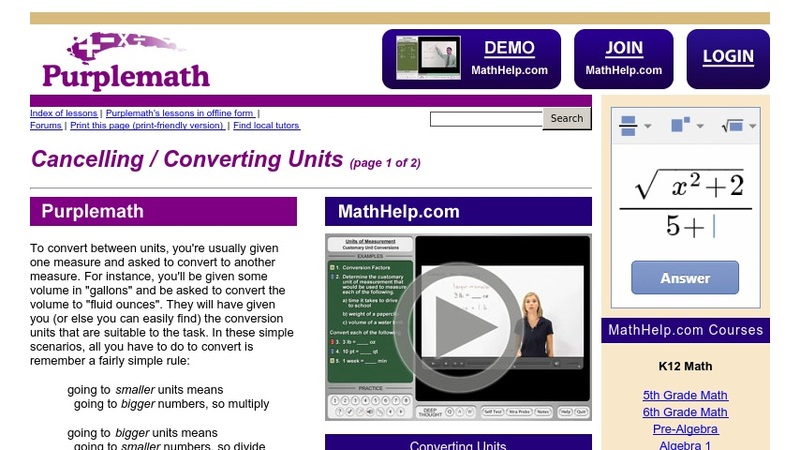 This page contains a step-by-step tutorial in converting between units. It begins with one-step conversions, progressing to problems requiring multiple unit conversion. Areas of frequent student difficulty are given extra attention by the author, who presents the tutorial in an informal writing style designed to engage high school students. This tutorial is part of an award-winning collection of free resources developed to promote understanding and confidence in algebra.